It’s time to say farewell to 2017 and hello to 2018 and Loudoun has several enjoyable activities to help you ring in the New Year! Whether you’re interested in partying the night away with an entertaining DJ, or looking to cozy up with your loved ones next to a grand fireplace, there’s an event waiting just for you! Check out these ideas and don’t forget to use #LoveLoudoun as you ring in 2018. Happy New Year! Make your reservation at Blackfinn Ameripub in Ashburn for a New Year’s Eve celebration you won’t want to miss! 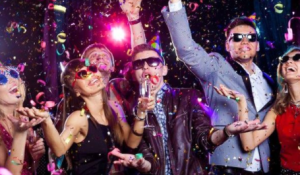 Dress to impress, dance the night away and ring in the New Year with a rockin’ DJ! You have your choice of three reservations: General Admission, Dinner Reservations or a VIP Table. 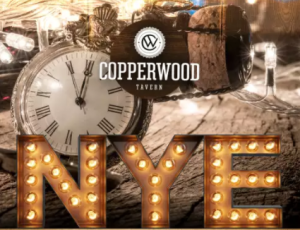 Dinner, drinks and a fun celebration await you at Copperwood Tavern! Select delicious options from the three course dinner menu like braised rabbit, lobster or filet. Enjoy a champagne toast at midnight, complete with party favors! 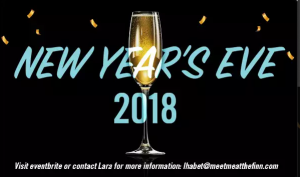 Ring in the New Year at Aloft Dulles Airport for their New Year’s Eve party including hors d’oeuveres, a buffet, dessert, a champagne toast, drink specials and a DJ! Best of all, there&apos;s a photo booth to capture your special night. Party packages are available, each including a one night’s stay and late checkout on New Year’s Day. If you’re looking for a cozy, low-key way to ring in the New Year, head over to Grandale Vintner’s Table; a Loudoun tradition for over 10 years! Here, you’ll experience an elegant farm-to-table menu featuring delicious specials from years past. 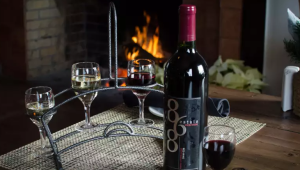 Cozy up with your special loved one next to the fireplace for a romantic, unforgettable night with sipping 868 Estate Vineyards wine!